THE Department for Transport has unveiled the next stage of plans for modernising the railway by launching a Digital Rail Strategy. Transport secretary Chris Grayling is telling the audience at an event in York that digital signalling will now be extended to the Northern Transpennine route. A major upgrade is due to start next year on the line between Manchester and York, which may now only be partially electrified at best. However, the government is making £5 million available so that Network Rail can develop its digital technology proposals. Digital signalling, which usually means ETCS, has already been used on Thameslink and will also be one of the systems on the Elizabeth Line. 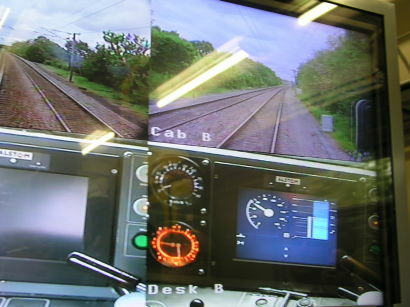 ERTMS and its train control element ETCS has been under test for some time, initially on the Cambrian lines in central Wales and more recently on the Hertford Loop, where a specially adapted test train has been feeding data back to a test centre just outside Hitchin station. Mark Carne of Network Rail said: “Not since the railway transformed from steam to diesel in the 1960s has a technological breakthrough held such promise. The new strategy has been welcomed by companies in the rail supply chain. Railway Industry Association chief executive Darren Caplan said: “We live in a digital age, and rail should be at the forefront of the Government’s plans to modernise major transport infrastructure. “With almost two thirds of rail signalling needing to be replaced in the next 15 years, this is the ideal time to transform the railway through new technology. “Rail industry suppliers are more than up to the task of delivering this shift to digital, and we urge the Government to ensure there is a visible and consistent pipeline of work, so the sector can plan, upskill and invest in the exciting challenge which lies ahead. RIA and its members look forward to working with the Government, Network Rail and all in the industry to secure this exciting future. RMT general secretary Mick Cash was less impressed, saying: “It's nothing but a smokescreen for Chris Grayling to suddenly start parading around as a great rail moderniser when he's the man who deliberately pulled the plug on a raft of key electrification and upgrade plans. No one is going to believe a word he says. "‎Britain's railways have been jammed in the slow lane for decades due to a toxic combination of under investment, fragmentation and private profiteering.